We are SO excited to have been invited to this year’s Disney Social Media Mom’s Celebration at Disneyland Resort. It will be the first time we’ve spent more than a full day at the parks (we’ve been a number of times but only for a full day (usually close to open – close) so to say the kids are excited is an understatement. Don’t worry we’ll be posting during our trip (as if I wouldn’t) 😉 Parker really wanted a countdown for the trip and everything I was finding online was too much. I like simple so I made this one up for him. Print it out, stick it in a 5×7″ frame and use a dry erase marker to change the numbers each day. Simple and cheap but keeps them from asking how many days 10x a day! Click HERE to download a copy for yourself! This is GREAT! 🙂 Super cute! Love the simplicity! Pinned for a hopeful future trip. Seems we always stay on the east coast and do WDW. I need to do a WDW one – I forgot to save this as a layered file so I’ll have to start over lol! So cute… Wish we were going to Disney …it’s just so far away from Australia! Love your countdown! Off to print! Thank you so much for sharing it with everyone! Thank you for making this…great idea!! 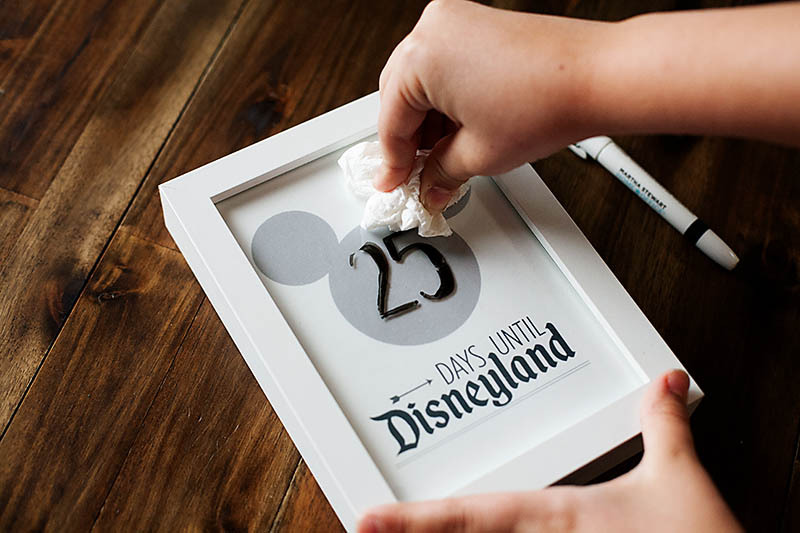 Pingback: We’re Going to Disney World + Printable Countdown! Any chance you can make a Disney Cruise Line countdown?? They are higher quality so they may be stretching to fit your page. Is there a box to check “actual size” or “fit to page” when printing onto a 5″x7″ paper? The file itself is at the right dimensions but sometimes with different printer settings it can print a little different. I’ve used the Disneyland and WDW ones this year! 8 wish there was a universal studios one too! So cute, thanks! Sounds like you had an awesome year! Good idea on Universal, I’ll have to make one up! 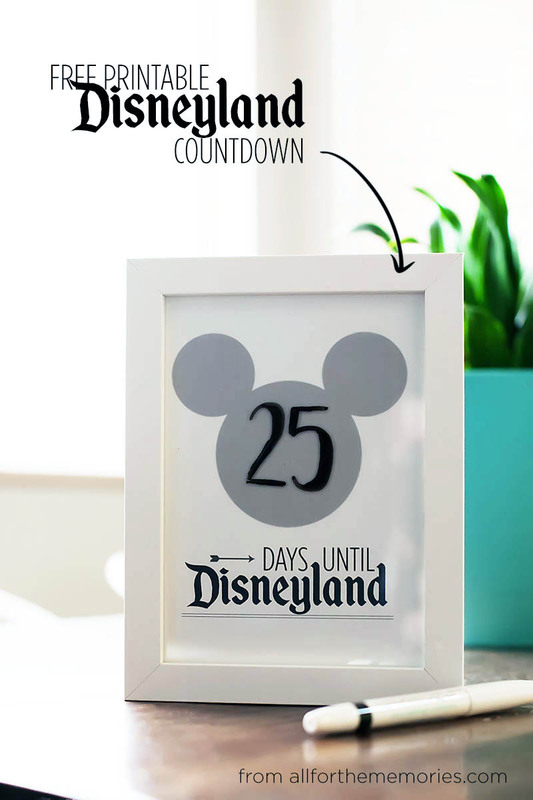 I just printed the Disney World countdown! Thank you SO much!! This is exactly what I wanted!! Did you ever make the countdown for Universal Studios? You know what, I never did! I’m going to work on getting it done this week! Hi Allison! I’m so excited to hear that you’re going to do that! We’re going to go to Universal Studios (Orlando) on our trip this summer, too, and we would LOVE to have a countdown for that, also! This will probably be our last trip with our girls (now 17 and 20) to Disney World and Universal Studios, so I want to make it extra fun. 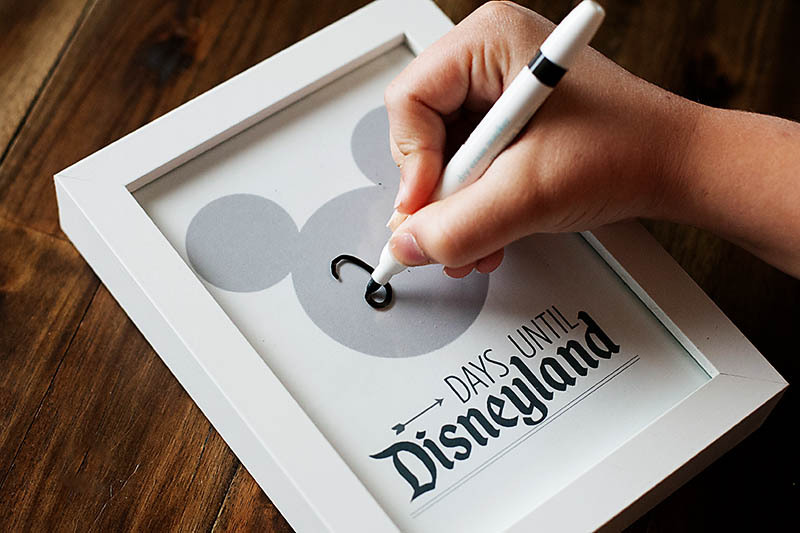 These countdowns make us look forward to our trip everyday. I’ll look forward to seeing your “Universal” one! Thank you SO much!! !